Kevin Bird captured the action at this year's Club Circuit Champs at Hillingdon, and his images can be viewed here. Results of the day have not yet been published. 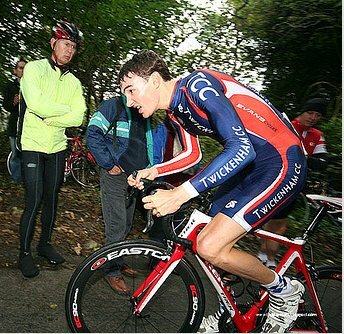 Sunday saw the popular dual-header of the Catford CC Hill Climb on White Lane (Titsey) in the morning, and Bec CC's Hill Climb of Yorks Hill in the afternoon. Sandy King took 18th place early on, and improved by one position to 17th in the aftrenoon, and was notably 1st Junior in both events. Well Done to Declan Higgins for taking 20th place in the Juniors event. 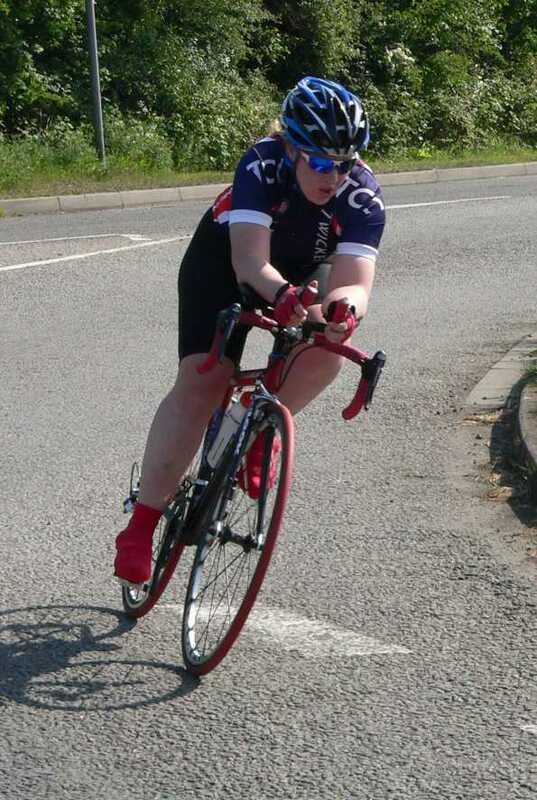 Lisa West rounded off her Time Trial season by recording a 1:17:17 on Sunday. Next Sunday sees the start of the Twickenham CC promoted Surrey League Ottershaw Winter Series. This long established event, held over 3 consecutive Sundays, is organised by Doug Collins & Mike Clark on the Club's behalf. Please come along & help out with the Marshalling if you can, even if it's just for one out of the 3 weeks. No experience neccesary & all equipment provided. Our Sunday Rides over this period will be replaced by rides out to the Race HQ, so just meet up at Twickenham Green at 09:30, and wear something warm - alternatively, you can meet us at Brook Hall, Ottershaw at around 10:30. Racing starts at 11:00. Sunday 18th October - Ottershaw Series Round 1 - MARSHALLS REQUIRED ! 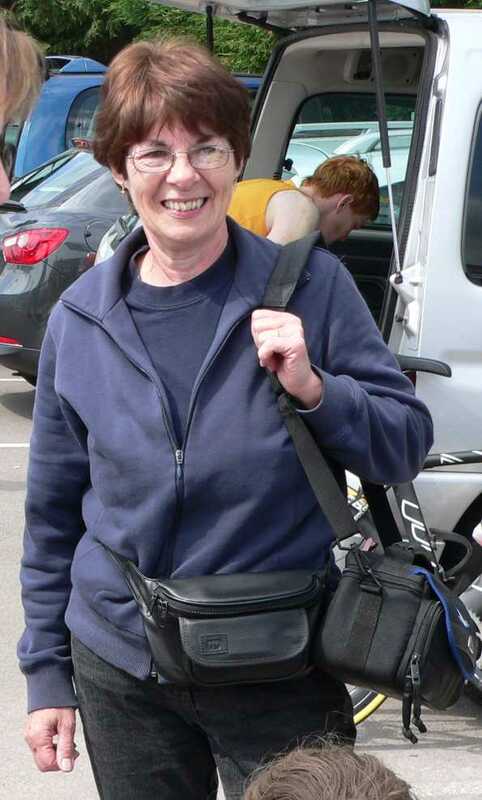 Sunday 25th October - Ottershaw Series Round 2 - MARSHALLS REQUIRED ! 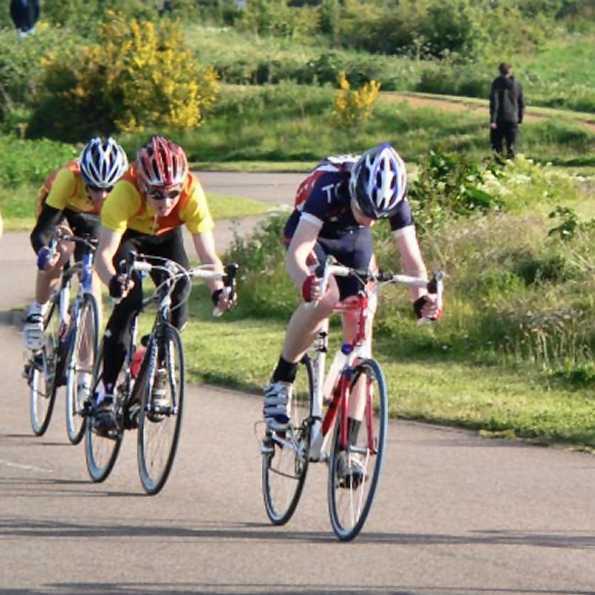 Sunday 1st November - Ottershaw Series Round 3 - MARSHALLS REQUIRED ! And Don't Forget, tickets for our Annual Awards Extravagana, being held on Saturday 28th November at Imber Court and featuring Rollapaluzza, are now available from Ann Cater.